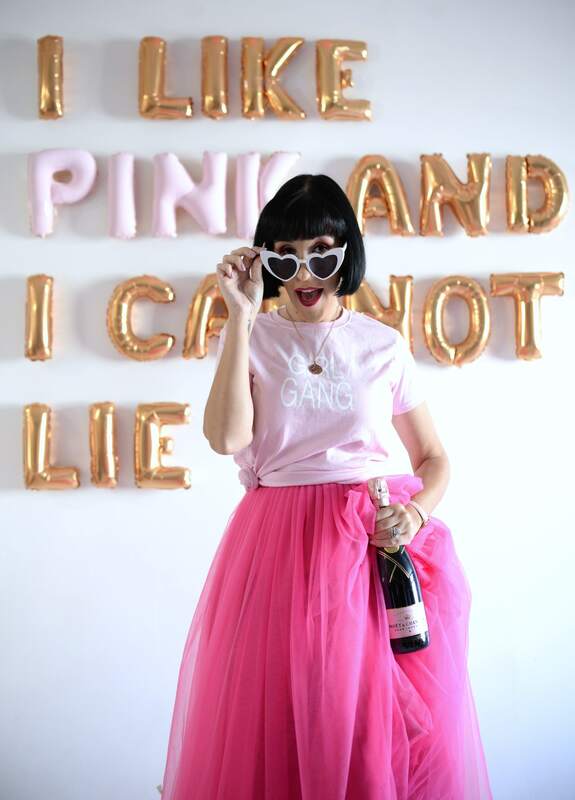 I want candy, I want candy. Just because the cooler temperatures are just around the corner, although you wouldn’t even know it is November by the gorgeous weather we’ve been having this week, sometimes you just want a little sweetness in your life. 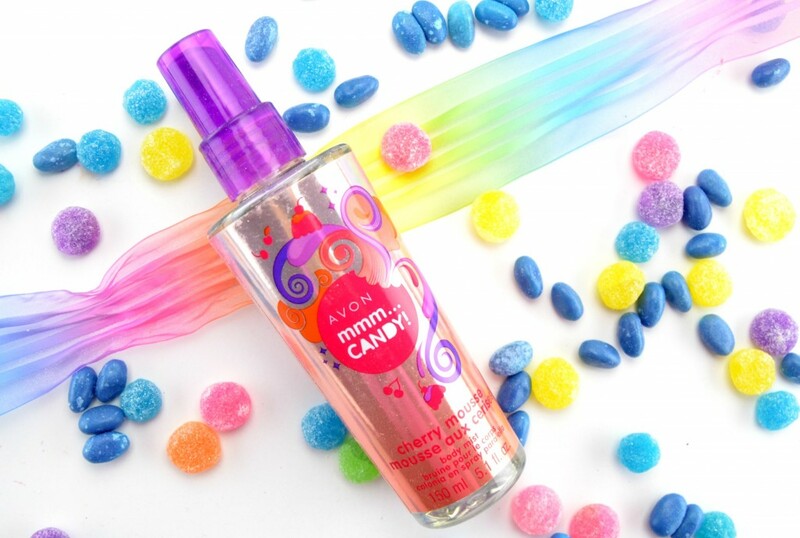 Let me introduce Avon MMM… Candy! Body Mist. 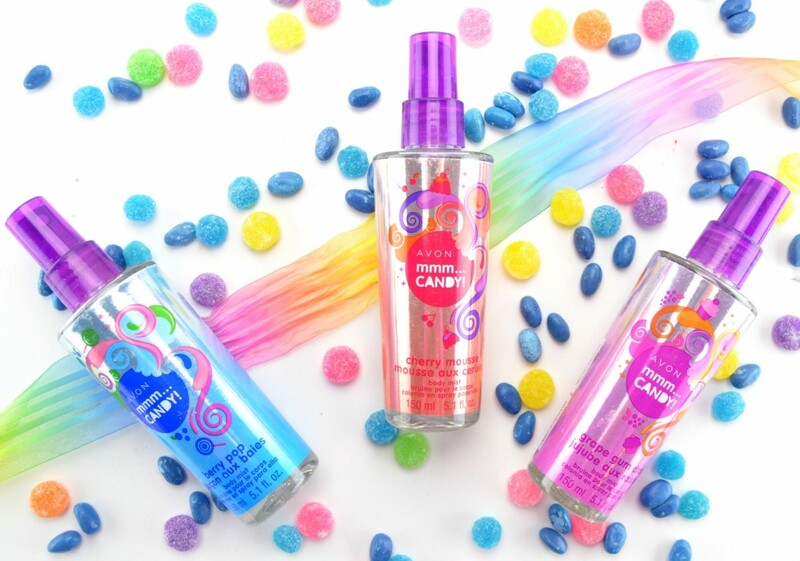 It comes in three delicious flavors, Grape Gumdrop, Berry Pop and Cherry Mousse to help crave your sweet tooth without the calories. Body mists have never really been my favourite, I’d much rather wear perfume, as I find them bolder, tend to last longer and aren’t as artificial. 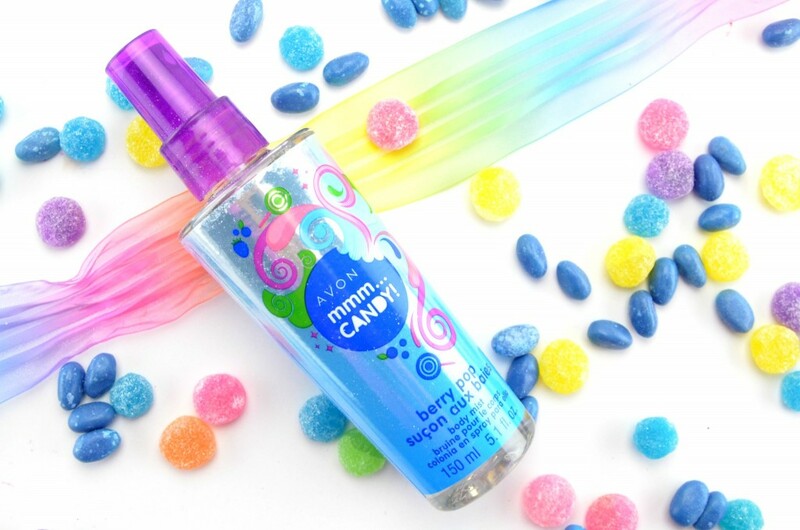 That being said, I think these Avon MMM… Candy! 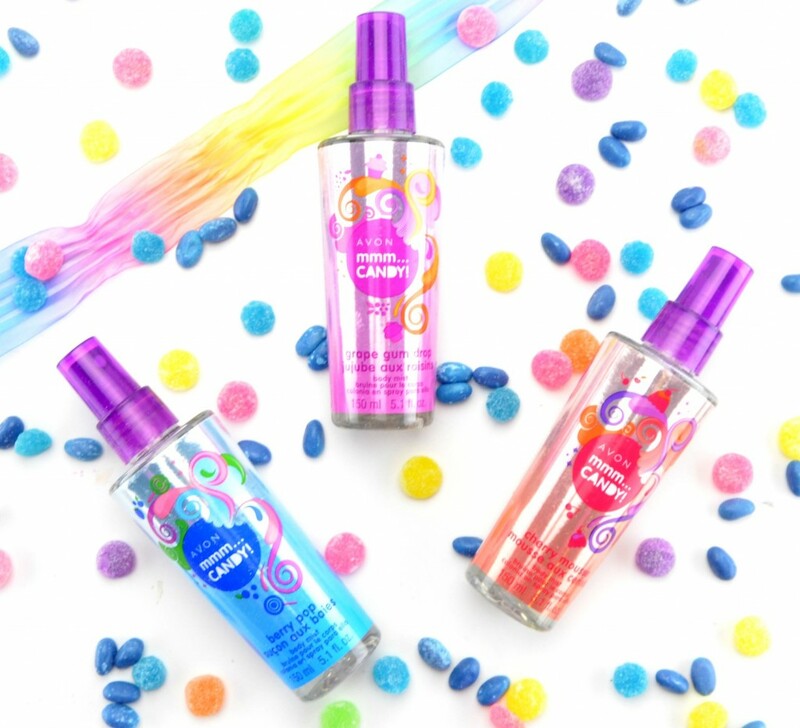 Body Mists could be a ton of fun on the weekend, when you’re not looking to be as sophisticated. Would I wear these to the office, absolutely not, but it could be fun for leisure time. Avon MMM… Candy! 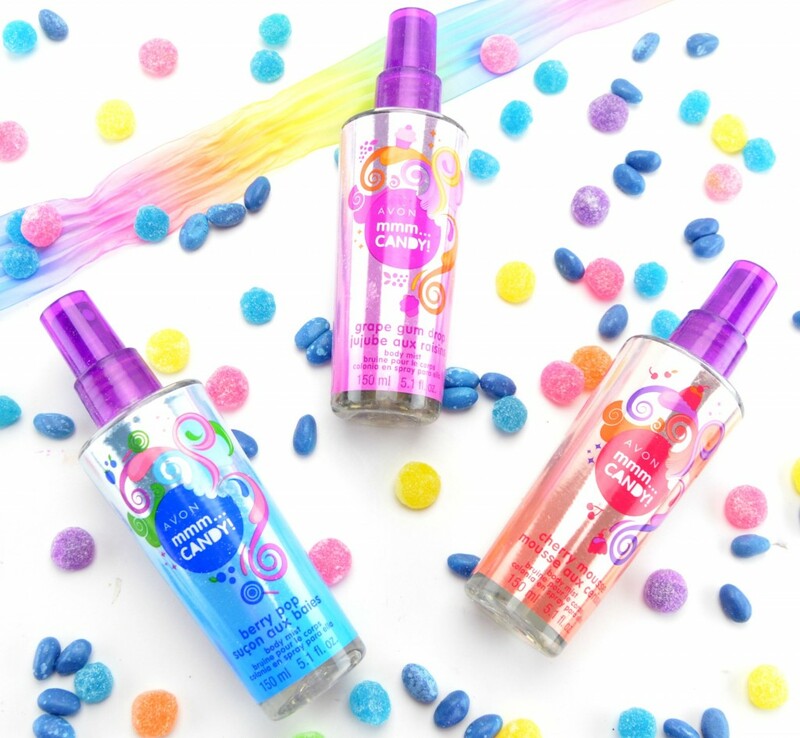 Body Mist comes in a transparent bottle with the most adorable, bold and colourful wrapped label done in fun designs. It comes with a handy spray nozzle for easy application that spritzes a fine mist, ensuring it’s not too overwhelming or heavy. All three scents are quite sugary and sweet, which is obvious by the name and instantly transports you back to your childhood days. By spritzing 4 to 5 times, it should last anywhere from 3 to 4 hours, but does begin to fade slowly as time goes on. It retails for $7.99 for 150ml.